Throughout the Western world, a whole generation is being priced out of the housing market. For millions of people, particularly millennials, the basic goal of acquiring decent, affordable accommodation is a distant dream. Leading economist Josh Ryan-Collins argues that to understand this crisis, we must examine a crucial paradox at the heart of modern capitalism. The interaction of private home ownership and a lightly regulated commercial banking system leads to a feedback cycle. Unlimited credit and money flows into an inherently finite supply of property, which causes rising house prices, declining home ownership, rising inequality and debt, stagnant growth and financial instability. Radical reforms are needed to break the cycle. 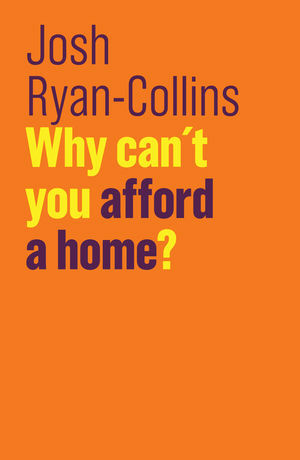 This engaging and topical book will be essential reading for anyone who wants to understand why they can’t find an affordable home, and what we can do about it. Josh Ryan-Collins is a Senior Research Associate at the Institute for Innovation and Public Purpose, University College London. "This book is the best short introduction I’ve seen to a burgeoning literature on housing and financialisation"